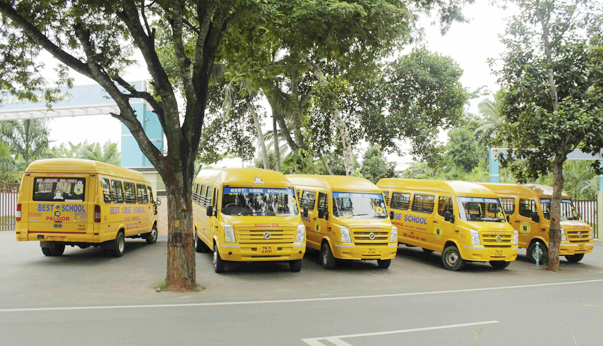 The bus route covers all areas .The school has buses for the benefit of students commuting from distant places for ease commutation of Students. All our school buses are in compliance with the norms of the State Transport Department and have speed governors installed. Each bus is equipped with a well-trained bus driver and an attendant to handle children of all ages.